WORKER STUDIO and TRAVELIN' PRODUCTIONS are developing this animated documentary around the extraordinary life story of John H. Ross; a highly decorated World War II Photo Reconnaissance pilot, for whom being a hero is only part of the story. Please enjoy this short introduction to John, an inspiration of a man who controlled his fears and lived his life like he flew his planes - Full Throttle. 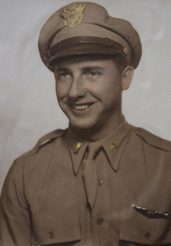 John passed away peacefully with family at his side on August 9, 2013 at the age of 95. Worker Studio is even more resolute in it's mission to bring this hero's story to life in all of it's animated glory.